RiversideCAHouseBuyer.com is a company that helps homeowners in the Riverside, California sell their properties fast and easy. 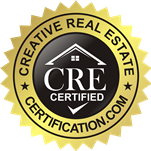 We are a network of professional real estate investors who can pay cash for your house. Whether you have a home that is in need of extreme repairs, an inherited property in probate, or just want a quick cash sale on a pretty house, we can make you an offer quickly and close whenever you’re ready. We only do fair deals, and we will never charge you a commission. Fill out a fast cash offer form today, and you’ll be one step closer to getting the cash you need. We buy houses throughout all of Riverside, California’s many neighborhoods and areas: Downtown, La Sierra, Arlington, Casa Blanca, Arlington Heights, Mission Grove, Canyon West, Sycamore Canyon Park, Wood Streets, Magnolia Center, Arlanza, Alessandro Heights, La Sierra Acres, Canyon Crest Heights, La Sierra South, Presidential Park, Grand, Airport, Eastside, Ramona, Arlington Station, Arlington South, University, Sycamore Canyon Canyon Springs, Hawarden Hills, Victoria, and more. Our real estate investors are experts in dealing with problem situations. They have years of experience with repairs, title issues, inheritence problems, probate, foreclosures, and other legal issues related to property. The condition of your home, as well as any reason you need to sell, is irrelevant. Homeowners face many challenges in life, and we are here to help, by making you a fast cash offer for your home.